To switch B1 Mode, go to ADVANCED menu (the last one) and then in the submenu FPGA Select: select B1 and confirm. Once this is done, turn off the box, then back on. Now is the time to activate the scanlines: return to ADVANCED, then go to H.SCANLINES: With the arrows you can adjust the intensity of the latter. The value 191 corresponds to 25% of scanlines, 127 to 50% of scanlines, 63 to 75% of scanlines, and 7 to 97% of scanlines. I recommend you to use the maximum level (index 7, 97%) which is what imitates best what we were accustomed to see on CRT screens. The more scanlines you have, the darker the image is, then it's up to you to make the appropriate settings according to your screen. By combining the settings of the TV + XRGB-3, I doubt that you won't get the contrast, brightness and color you're looking for. Here your picture is set correctly, now let's refine this a little! And we will start with the Options and Screen + menus evoked a little higher. We start with the SCREEN+ menu. Two important settings are in this one, don't miss these. Firstly, set NTSC DC and NTSC AFC to Manual, to access the setting. Then move on AFC ideally 5 or 6 depending on the strength of your signal: it is about adjusting the intensity of it; to help you, look for the top of the image to be ok. Position yourself on the setting that provides a picture as straight as possible. 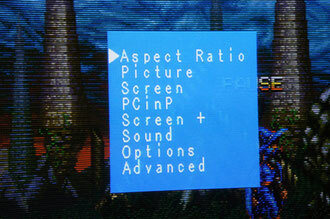 Then with the NTSC DC Manual setting, you can refine, but beware: the default value is 3639, it is possible to change value on two units maximum (3637-3641) to refine the image for it to be perfectly straight. If the top of the picture is a little crooked, you can cheat by increasing the vertical size to hide this little defect. This being said, the AFC and DC settings should suffice to get a perfect picture. Then move to the OPTIONS menu. In it, you can adjust the RGB-21 TERM who can also have a role about the signal strength: 75 Ohms makes a brighter image and a stronger signal, so that attenuates 220 Ohms - forcing you to play again with the Gamma, Brightness and Contrast settings. Equipped with LM1881, 75 Ohms setting should work without problems. In the same menu you can activate V-SYNC LOCK, which locks the vertical sync. Still on the OPTIONS page, let's now validate High for 1080P timing. Then proceed to the choice of resolution. For my part, I'm set on 1600x1200, but this might depend on your TV. If your image is already approaching perfection, do not touch anything! 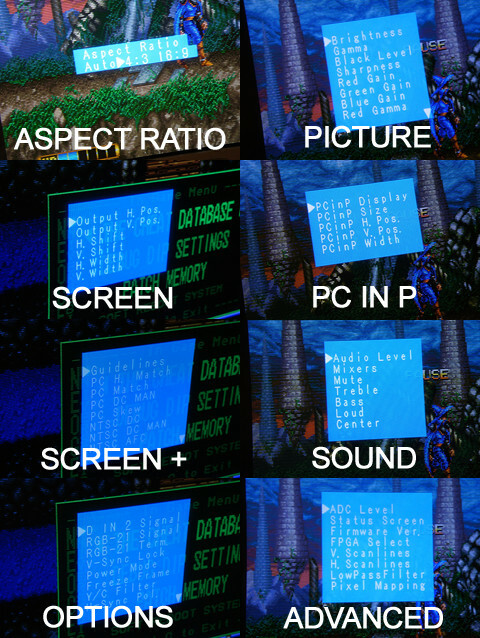 For help, see the XRGB-3 Wiki Guide tables for different screen resolutions tested. Once these few parameters validated, you can make even finer adjustments: start stretch or shrink the image to take good full height of the screen. Make sure that the proportions Width/Height are met, otherwise you might be entitled to some distortion. Use the options available in the SCREEN menu. Once the image is ok, adjust the settings in PICTURE, starting with BLACK LEVEL, then GAMMA, and finally BRIGHTNESS. Other settings affect the color distribution, and theoretically it's not necessary to touch this. 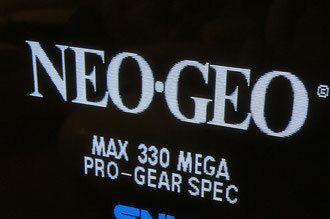 If at any time you made ​​a mistake or there's no more picture, you can reset the XRGB-3: Simply turn it off. Then hold the MENU and OK buttons on the front of the devide, and while you hold, press the POWER button. Keep the button pressed for 3 seconds until the LED flashes. The XRGB is reset. Some screens also offer many settings. Once set the best settings done for the upscaler, refine and perfect your settings on the TV. 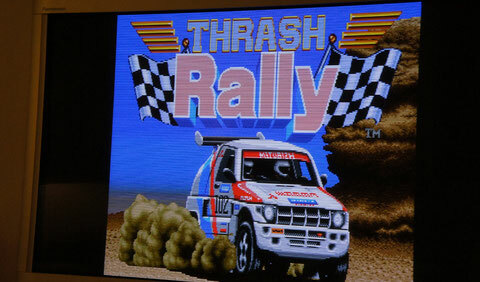 A special menu for the very complete VGA is usually available when using this port. Here we are! I think we're done with the XRGB-3 install, and you now have all the cards in hands to make the transition for your console on a HD screen. If however you are stuck in your installation, do not hesitate to come and ask for help on the forum ... we may be able to help you out in case of difficulty.